Spring has been late in coming, but the ground is turning green. 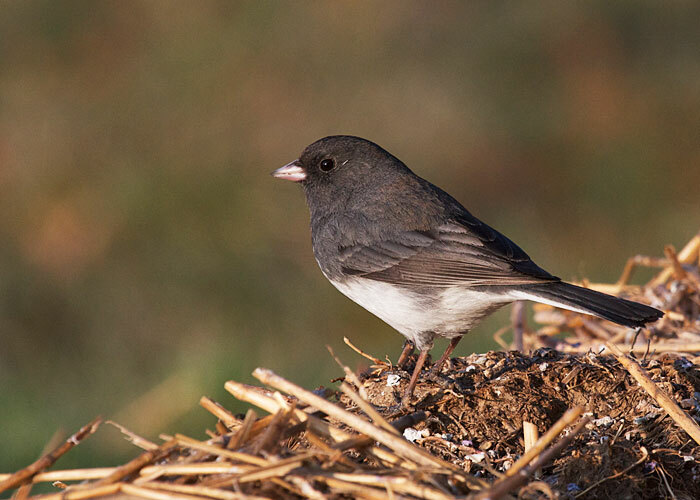 Dark-eyed Juncos, who spent the winter here, silent except for a few chip notes, are trilling their songs now. I know that means they'll be around for maybe another three weeks, and then... off to the great north. It has good optical quality and an extremely wide field of view. It's waterproof and has an unconditional lifetime guarantee. All the birds love a birdbath, including juncos like the one at left. Our favorite bath for any location or season when it's not freezing is the Kozy Spa Bath with Pedestal.